M2 wins the battle for Liberty's heart. Burrd is just too cruel for her liking, his laziness forcing Liberty to leave her eggs in search of food. But after 15 years of true love with Justice, Liberty's heart remains heavy and empty. Their mansion-nest haunts her with memories of all the eaglets she and Justice raised together over the years. Liberty can't sleep at night. Her eggs have gone cold in the nest beneath her, and she blames herself. M2 hovers close, knowing that while she's let him into her nest, she will never truly let him into her heart. After her nightlong vigil, Liberty is ready to say good-bye. There will be no chicks peeking out from beneath her strong wings this spring. 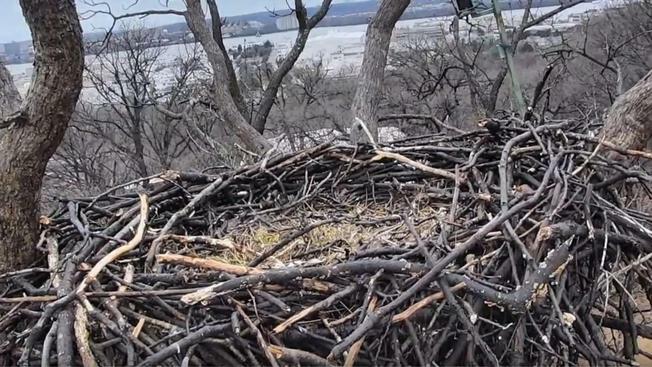 The nest holds nothing for her now -- no eaglets, no Justice, no hope. With the world begging her not to go, Liberty takes flight with M2, off to seek a new life with her new mate. We watch the nest, a pit of despair growing in our own hearts. The sun rises and sets. 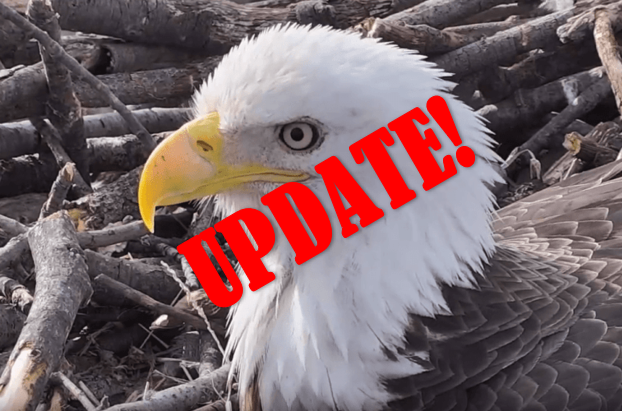 New, unfamiliar eagles fly in and out, trying the nest out for size. And the realization sets in: the battle royale for the nest has just begun. Have you been watching the soap opera surrounding Liberty? What are your hopes for her in the future? What do you think happened to Justice? Tell us in the comments! Check out last week's episode of our favorite D.C. eagle drama here!